It seems like just yesterday Hugh the Neighbour and I were discussing the merits of the beers we tasted in 2017 - yet here were are running through the crop of 2018. In the past 12 months we tasted 44 different beers, wrote columns about 24 of them, and complained about the impact the deposit scheme would have on beer, and advised people to take it easy on full strength over the festive season. Why the difference between tasted beers and written-about beers? The answer is simple - it is not that the beers were in any way deficient but rather HTN and I have a weekly drink and the column is fortnightly. Picking our favourite beer of the past year was fairly difficult - there were a few ordinary ones and many good ones, but precious few standouts. Five beers that stood out were the Little Creatures XPA, Coopers Dark Ale, Granite Belt Brewery's Irish Red Ale, Karma Citra India Black Ale, and the Asahi Dry Black. You will notice a theme emerging - the beers that HTN and I find ourselves drawn to are on the dark side of the spectrum. Beer of the year - the first time that has happened. 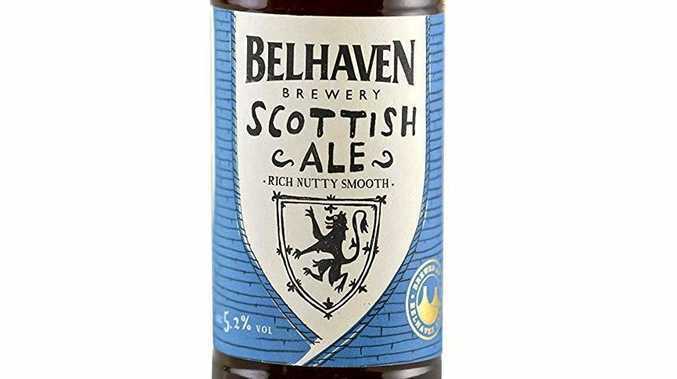 Our pick - the Belhaven Scottish Ale. At 5.2 per cent alcohol, this full-strength beer is everything you want - smooth and rich, with a creamy nuttiness and hops. If you haven't tried it - give it a go.